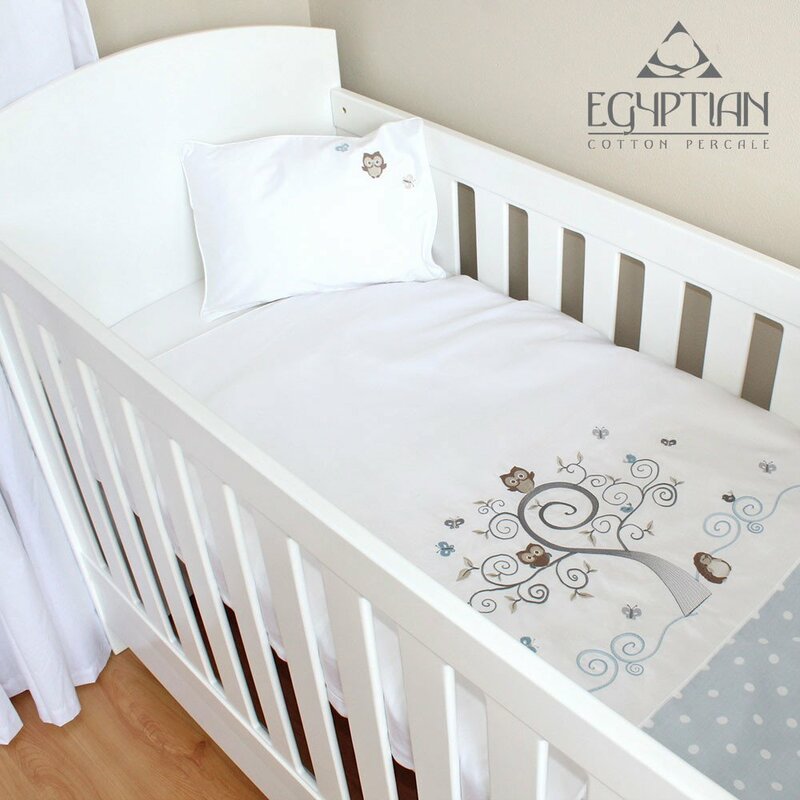 This Egyptian cotton baby cot duvet by Babes & Kids is luxuriously soft and gentle on your baby’s delicate skin. 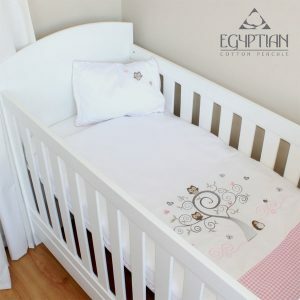 It has a 400 thread count and is 100% Egyptian cotton. 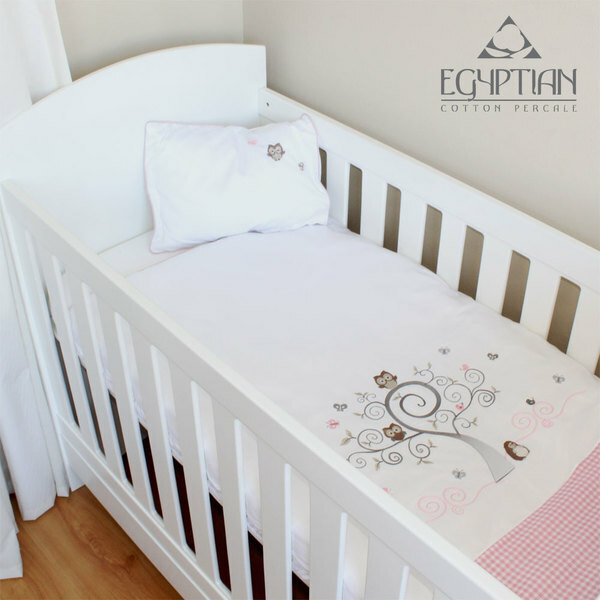 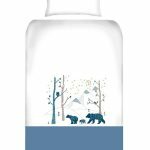 Egyptian cotton is renowned for being the world’s finest cotton and is extremely durable while remaining breathable, it gets softer with washing due to it’s extra long fibres, ensuring your little one stays comfortable throughout the night. 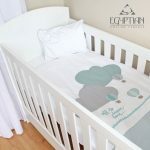 The baby cot duvet cover set design is created using a rich satin stitch embroidery with adorable owls in varying colour options. 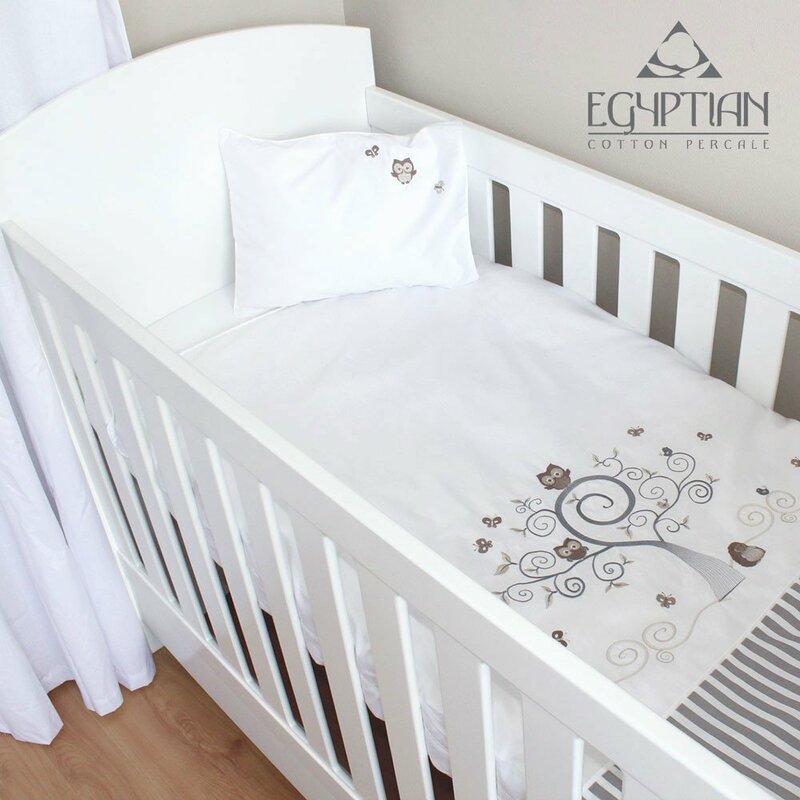 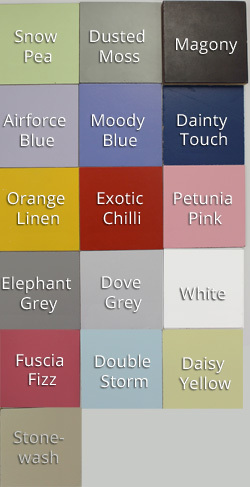 A piped finish compliments the design and makes a product that will not only enhance the look of your nursery, but will ensure that your baby has the best sleeping environment possible.